There are plenty of good reasons to block applications in Windows 10 – from making sure that your employees (or you) aren’t procrastinating in the workplace, to ensuring that your children can’t access things that you don’t want them accessing on their accounts. 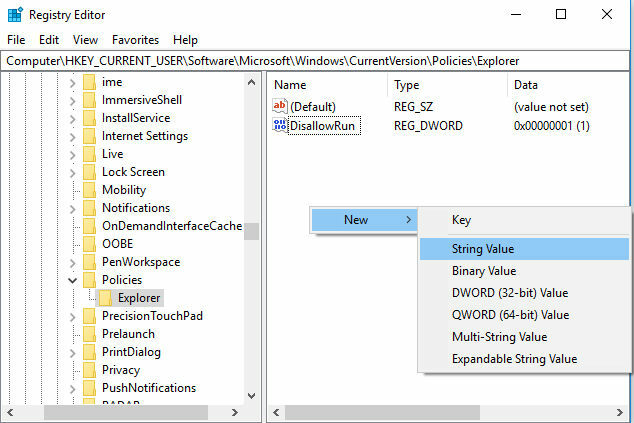 Here we’ll show you how to block apps and programs in Windows 10 using the Registry Editor. Note: before doing this, you should take precautions and create a backup of your registry. 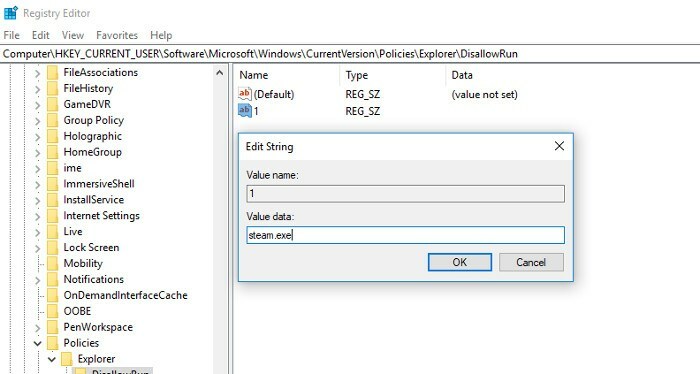 First, make sure you’re signed into the Windows account you want to block applications in, hit Win + R and enter regedit into the Run box to open the Registry Editor. 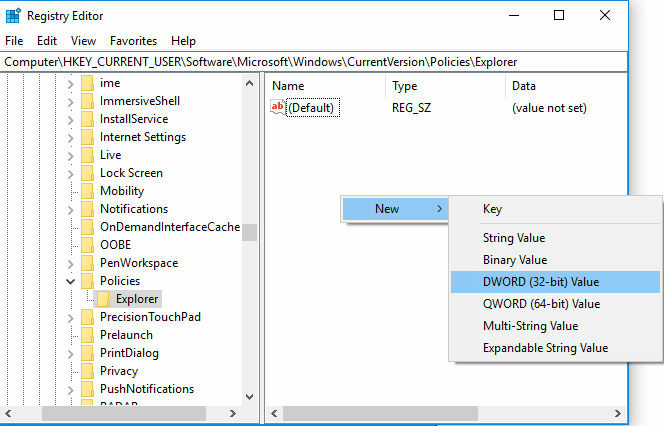 Select your newly created Explorer folder/key, then in the pane on the right right-click an empty space and select “New -> DWORD (32-bit) Value,” and call it “DisallowRun” (without the quotes). You’ve now created a block list. Next, it’s just a case of adding what you want to block to the DisallowRun folder (or “key,” as it’s technically called). 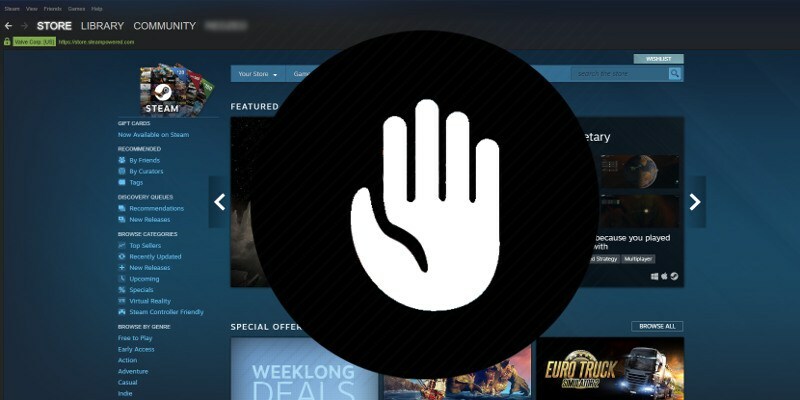 You need to add every program you want to block to the DisallowRun box. 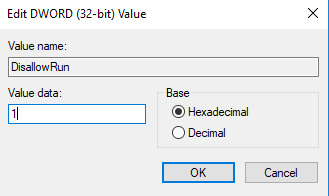 Next, double-click your newly created string, and in the “Value data” box enter the name of the executable file for the program you want to block. We’ll be blocking Steam because there’s nothing more distracting from work than knowing you have a 200-game backlog to get through. Once you’ve created your key, reboot your PC (optional), and the block should be in place. To add more applications to the block list, repeat all the same steps under this heading, but name each new string value you create with the next number in line, such as 2, then 3, then 4 and so on. When you try to open one of these applications, you should be greeted with the following message. The obverse option to what we outlined above is to only allow certain applications to be opened on the account or, put another way, to block everything apart from the applications that you specify. 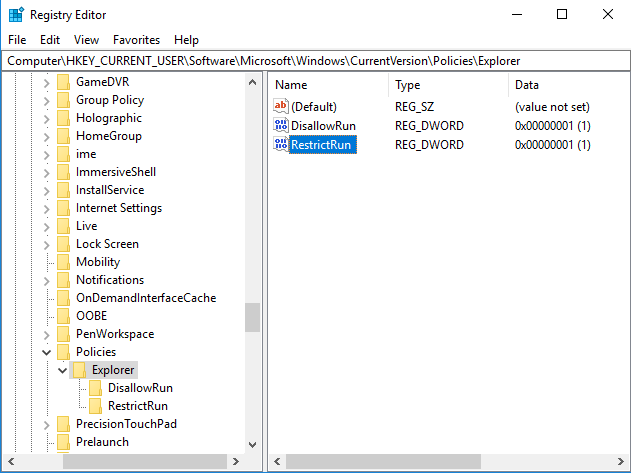 The process is exactly the same for blocking programs, except each time you use the term “DisallowRun” (as a DWORD in the Explorer folder and as a sub-key/subfolder in the Explorer folder), use the term “RestrictRun” instead. 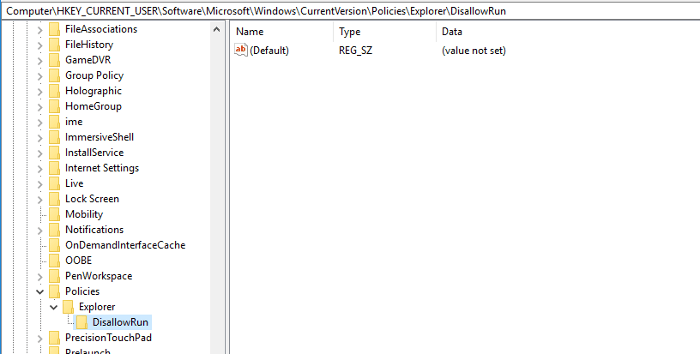 You can have both DisallowRun and RestrictRun existing at the same time, but don’t enable them at the same time as this may cause conflicts. That’s it. 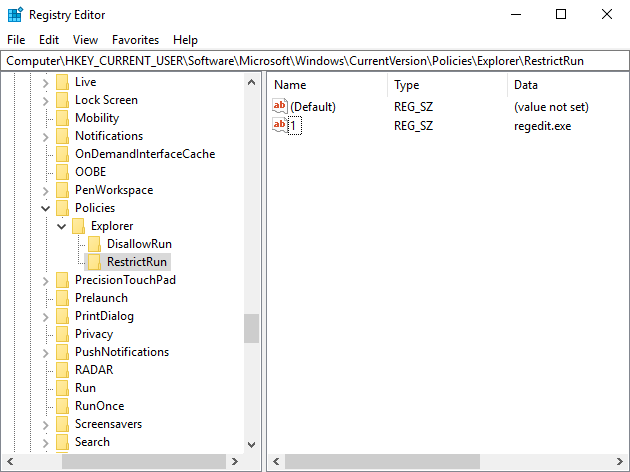 You now have your own block list in the registry editor, allowing you to control exactly which applications can be accessed on given accounts. Don’t treat this lightly, however. The registry functions on a deep level on your PC, and doing things wrong here can cause problems. Remember to back up your registry, create restore points, and be meticulous when making tweaks. Glaring omission: what version of Windows 10 is required for this? Home? Professional? Enterprise?